The Road Theatre Company and Taylor Gilbert, Founder/Artistic Director together with Sam Anderson, Artistic Director, are thrilled to announce the third show of its 2014-2015 season, the West Coast Premiere of THE ENGLISH BRIDE, written by Lucile Lichtblau and directed by Marya Mazor, which will be running in repertory with The Other Place. THE ENGLISH BRIDE will preview on Saturday, February 28 at 3pm; Sunday, March 1 at 7pm, Tuesday, March 3 at 8pm and will open on Thursday, March 5 at 8pm and run through Sunday, April 26th at the Road Theatre Company's second home, the Road on Magnolia, located in The NoHo Senior Arts Colony, 10747 Magnolia Blvd. in North Hollywood. The mystery wasn't what happened; the mystery was why. Inspired by the real-life failed bombing attempt of an El Al flight in 1986, this play centers around an Israeli agent's desperate search for the truth as he interrogates an Englishwoman and her Arab lover. Who put the bomb on the plane and why? 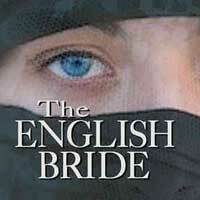 THE ENGLISH BRIDE will preview on Saturday, February 28 at 3pm; Sunday, March 1 at 7pm; Tuesday, March 3 and will open on Thursday, March 5 at 8pm and run through Sunday, April 26th at the Road Theatre Company's second home, the Road on Magnolia, located in The NoHo Senior Arts Colony, 10747 Magnolia Blvd. in North Hollywood. Performances are Thursdays at 8pm; Saturdays at 3pm and Sundays at 7pm. Ticket prices are $34; Students and Seniors are $17.50; Previews are $15.00. Special group rates available for parties of 8 or more. For tickets, call 818-761-8838 or visit www.RoadTheatre.org to purchase tickets online or to view complete schedule.